Well, recently completed my computer science course in Data Structures, this was one of the 2 books we used. John McCormick happens to be the teacher, and one of the Co-Authors of both books we used. I found the book to be pretty good in giving you some understanding of the language, and towards the end of class, me and some fellow classmates agreed with John on the fact that Ada wouldprobably be a better first language for Colleges to use, since it really helps with building good habits simply with how the language is desinged. 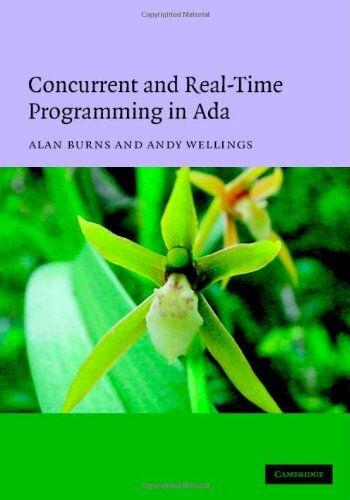 Fully harnessing multi-core processors requires concurrent programming, yet most mainstream languages have little support or do so with poor portability.Well-written concurrent Ada programs can be extremely portable and support multi-core and multiple processors automatically.This book explores, in-depth, the concurrent programming ("tasking") part of the Ada language.The authors then show how the concurrent programming facilities of Ada are augmented by the language to support real-time programming.These standard real-time facilities are state-of-the-art, extending, for example, beyond the POSIX real-time facilities in their expressive power. The book first establishes the necessary foundation for understanding concurrent programming by explaining the possible problems (e.g., deadlocks and race conditions) and highlighting some of the mechanisms traditionally used in concurrent programming, such as semaphores and message-passing. The tasking part of Ada is then covered in full detail, necessarily including interactions with some other parts of the language, such as exceptions, but also including interactions with the Ada object-oriented language facilities.The implementations of a number of reusable concurrency abstractions serve to illustrate the use of the tasking features. The authors next lay another foundation, this time for scheduling in real-time systems, and show how Ada directly supports the common approaches.Both fixed-priority and dynamic-priority dispatching are supported by Ada and these are covered in detail.Ada 2005 also defines a number of time-related abstractions, such as a monotonic clock and timing events, and these are also covered completely.As in the concurrent programming part of the book, a number of reusable abstractions are implemented; in this section they illustrate the real-time language facilities.A discussion of the popular Ravenscar Profile, adopted by some other languages, is included. 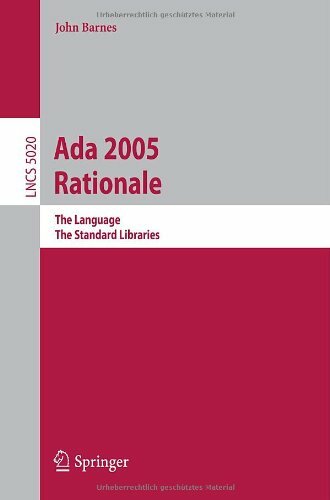 No language is perfect and Ada is no exception.The tasking part of Ada 83 was particularly controversial in the domain of real-time systems.Ada 95 addressed many of these issues and added some new ones.Ada 2005 does the same.These issues are not ignored in the book. I own 46 books on Ada (not counting older editions of some of them), gathered over 27 years of applying the language.Some are excellent and some not, but this one is highly prized.I highly recommend it to professionals and students alike. Obviously specifically for Ada but a good resource for any programmer interested in the general concept of concurrent programming.The organization of the chapters and the introduction to concurrency are alone worth the price. the authors of this book is famous. and the contents of the book do not disappoint me. i have several references about ada. of course, some of the references are written by the author of this book. But, regard to the acting mechanism of ada task, this book is awesome. but, if you are the beginner of real-time & embedded system, you should have another reference(s) to fully understand the meaning of the every article of this book. By far the best on the subject.Offers complete coverage of any aspect of concurrency with Ada, including real-time and distributed programming issues.Burns and Wellings are the acknowledged experts on thistopic. The best aspect of the book is the analysis of features and theirinteractions, providing a depth not available in other texts covering theentire language. Assumes you know some Ada, but includes an introductionto the sequential part of the language. I own quite a few books on Ada;this is the one to get if you want the details of Ada concurrency. Ada has been one of few languages which provides facilities for concurrent programming, but readings for the feature had been limited. This book is not only the first but also an excellent guide to the capability of the new Ada standard. Not only Ada programmers, but also all professonal software engineers who design real-time, embedded systems, advanced students of computer science, and even beginners should find it quite useful. I've read the original print published in 1995, which has been out-of-print. There are a number of excellent books on the topic of real-time systems.Few, if any, address the breadth of topics covered by this book, much less to the depth and quality exhibited here.Read as many of the others as you can, but if you must purchase only one book on real-time systems, this is the one to have.Indeed, I have each of the three previous editions of this book and this latest is, once again, worth every penny. 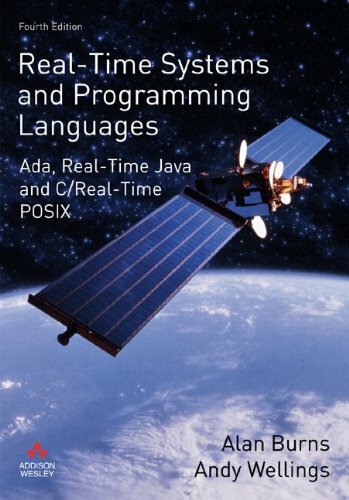 One of the reasons I hold such a high opinion of the book is that it is written by people who not only know what they are talking about, but can do so with clarity and precision.As leading contributors to scheduling theory and the real-time programming facilities of both Ada and Java, the authors are internationally recognized experts on real-time systems and programming languages.The text's depth reflects that fact, but it is also clear, concise, and a pleasure to read. Another reason I recommend the book is that it has a good balance between theory and practice.Make no mistake, the necessary theory is covered extensively, but it is then illustrated with concrete examples using programming languages that are in wide-spread use today: Ada, C, and Java.As neither C nor Java were explicitly designed for concurrent real-time systems, the text includes the necessary extensions.For C, the POSIX real-time profile is used.For Java, the Real-Time Specification for Java (RTSJ) is used.When necessary, examples are provided in other languages as well. In fact these three programming languages form the underlying context for much of the book.They are not themselves the subjects of the book, however, and those readers seeking an introduction to these languages should look elsewhere.Instead, the programming languages are used to explore the distinct nature of real-time systems and the requirements for developing applications in that domain.The code examples thus provide a means of illustrating the topic at hand, but also provide a means for comparing the strengths and weaknesses of the real-time facilities of the languages.The authors are leading contributors to the Ada 2005 Real-Time Systems Annex and the RTSJ for Java, a fact reflected in the detailed critical analysis provided. I felt happy to purchase yet another edition of the book because of all the above, but also because of the additions (and removals) present in this edition.New material includes additional schedulability analysis theory and material on multi-processor and multi-core architectures.With respect to programming languages, the new material includes extensive coverage of the real-time systems programming additions to Ada 2005, the latest version of the RTSJ, and the new real-time POSIX profile enhancements for C.As for removals, the introductory material on the programming languages is no longer present.This change was a necessity for the sake of brevity,but the result is a better overall focus.Also removed is the chapter on distributed systems.I was sorry to see that go, but the primary points have been moved to other chapters. Discussion of other programming languages, such as occam2, are also removed for the sake of brevity but is available on the book's web site. I should point out that this is not just a "timing" book.For example, real-time systems typically have reliability requirements as well as timeliness requirements.Reliability is thus covered extensively, as are a number of other topics that might not be immediately suggested by the title. In summary, I am a real-time systems engineer with over 30 years of professional development, industry lecturing, and occasional university lecturing experience.Based on that combination, I give this book my highest recommendation to both professionals and students alike.The field of real-time systems is not for beginners, but developers (and managers) as well as more advanced university students will definitely benefit.Both will find a text they can use to learn the latest in the field. PS: Note that, at the time of this writing, Amazon is for some reason showing some reviews for earlier editions of the book, not this latest (fourth) edition. This book is great because it covers all the important concepts quite well. I think it is a must for those into real-time programming. This book is no good for students, as it has exercises with answers only available to lecturers though a password system. The examples are ok but do not help for the exercises so it makes the book imcomplete and very dissappointing, If you need help for real time systems then this is not the book for you, If you just want to read a book this might be ok, but learning is not going to be done. 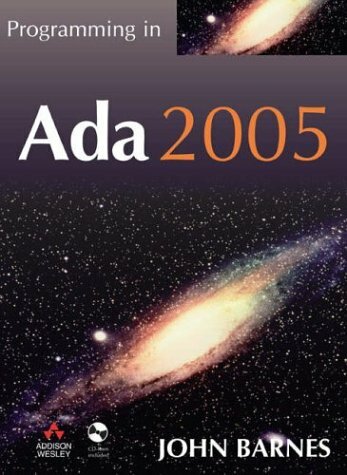 The definitive text on the new version of Ada – Ada 2005 – written by one of the language’s creators. Barnes is to Ada what Kernighan & Ritchie are to C, or as Stroustrup is to C++. Previous editions have sold over 150,000 copies. I agree that the book may not be for beginners but it is a good reference to have while coding. It is much easier to have this by your side than going and searching a document on the computer constantly. The book is a little vague on the topics but it is enough information to get you started in the right direction. If you are looking for a complete How-To guide for Ada then this is not the manual for you. If you are looking for a book that will give you some guidance on syntax and functions and only need a reference then this is the book for you. This OVERPRICED book is not for beginners. You don't need it if you are familiar with Ada.. Don't waste your money. Go to download the Ada 2005 Reference Manual. Great Book to learn ADA language. This is a new edition to Ada 95. Its simple to learn w/ a new edition. This is a definitive work by someone that clearly understands the history, culture and technical aspects of Ada. Thank you (once again) to John Barnes ! This is the Ada textbook you need. Written by a key member of the original Ada design team 'Programming in Ada 95' and its predecessor, 'Programming in Ada' have long been established as the definitive texts on Ada. Now John Barnes has revised and updated this classic book to enhance its value to both Ada newcomers and veteran Ada programmers alike. 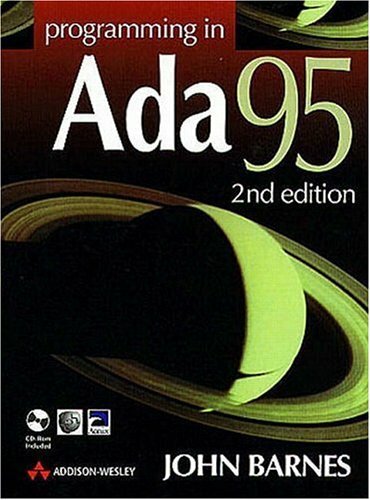 Ada 95 is the first fully object oriented language to become an ISO standard, its power and flexibility make it suited to a wide range of complex applications, from process control and industrial design to telecommunications and diagnostic analysis.This book provides complete tutorial coverage of all the core features of the language, illustrated throughout with extensive examples. I'm a long time C++'er but knew nothing about Ada, which 95% of my new job involves. So I needed something to bring me up to speed quickly. I find this book very readable and pretty well organized. The first few chapters teach you the 10% you'll use 90% of the time and the other 90%, if you need it, is covered in depth later in the book. 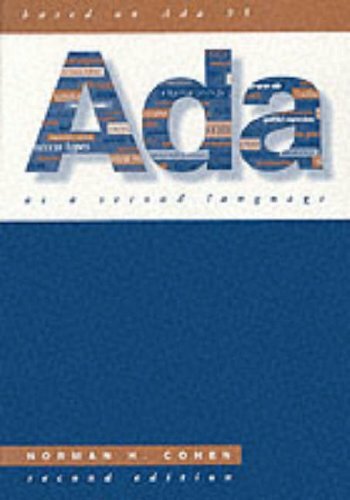 I think those that don't like this book probably don't like Ada (but who does?) because I find this book great, Ada is just a tough language that you just can hack with like C++. Like the Ada language itself, I find this book wordy and repetitive, but complete. It really does seem to have full descriptions of all the language features. I'm not sure, because I have to flip to so many different sections to see one feature described, that I really don't know whether I found everything. This book reads like a standards document, designed by commitee. (If you're never read standards, imagine reading 'War and Peace' by selecting pages in random order.) In the bigger standards, any given component tends to make sense only when you've mastered all other system features, so you understand how that component fits the system as a whole. That means the learning curve includes a jump discontinuity, from zero up to where you've absorbed some critical mass of information. That's what this book is like. Yes, Ada is a complex language, so a truly brief description is impossible. A better writer knows, though, that brevity (to a point) improves clarity, and that the organization of content is at least as important as the content itself. The one real strength in this book is the many examples. They are sometimes over-long for the points they make, but seem to demonstrate most of the important language features. If you already know a few languages including at least one with object orientation, you should be able to hack a trail for yourself through this thicket of information - the author has not paved a clear path for you. If you are a beginning programmer, you're likely to have a hard time of it. This is not a begginers guide, or a "for Dummies" book either. You are not going to be spoon fed here. To get the most from this book you need to do a bit of poking around on the internet concerning the "Hello world" of Ada95, also the structure of Ada programs, interfaces, bodys, then jump in to this work. You will find all you need, but this is not an ARM (annotated reference manual). Be ready to jump around in the text. Use the included Aonix compiler, or the one that comes with Linux. Rememeber this is a small book covering a big subject. Ada is the programming language of choice for high integrity software systems and is used extensively in industries such as transportation and aerospace. Special features of the book include: Object-oriented programming, concurrency, and embedded and real-time systems are emphasized. Ada for Software Engineers explains the language concepts and the terminology of the standards document, the Ada Reference Manual (ARM). Extracts from the ARM are used throughtout and there are extensive cross references to the ARM. A comprehensive glossary and technical quizzes assist the reader in developing the ability to use the ARM as a practical reference. Comparisons with familiar languages like C and Java are given to facilitate the transition to Ada. 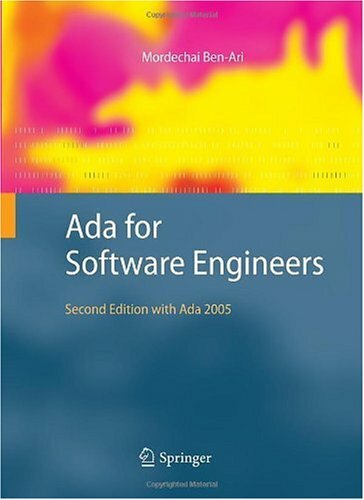 The features of Ada 2005 are used routinely, but they are carefully identified, so that programmers using Ada 95 will also find the textbook useful. The companion website contains the full source code of nearly 100 case studies and 100 technical quizzes. Phenomenal index.Extremely comprehensive. Best reference for Ada 95. Norm - PLEASE PLEASE PLEASE come back to Ada and update your best in class reference book for Ada 2005. This book is great for people just starting with ADA because it initially goes through the basics of a program and then going through every component in detail.Since I was already proficient in C and C++ it was nice how the book points out how the commands are similar to not only C but also Pascal and COBOL (even though I don't know those two).I really like the format of the book.You get the format definition, then the syntax, and finally a short example of the instruction being used. If you already know C or some other similar language, you'll probably get annoyed with how much detail it goes into at explaining the simple programs and code it presents, but you can always skip it. My only complaints are how long the book is and the price.Not only is this the longest programming book I've seen, but it's also the most expensive.However, if you really need to learn ADA it's pretty much worth the price. This is a poor book to learn Ada from.I'll agree that the book is a good reference tool, once you have a firm grasp on the language.I took a course four years ago with 14 other experienced programmers (Ada, C, ...), all of them thought this book was difficult to use as a learning tool.It lacks good examples and is poorly orginized.Go elsewhere if your new to Ada 95. 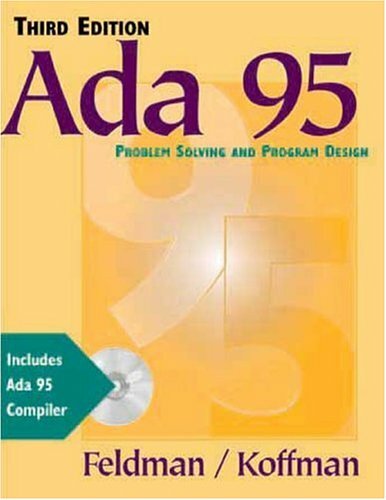 The ultimate Ada95 book, if you are experienced programmer. Over two years back, I had to write and test huge amount of code (about 200-330K LOC) in Ada 95 (I had over 8 yrs. Ada 83 experience) in very short time. A colleague suggested to use this book. It has helped me in everyway. The book contains very clear explanations about all the new conceptsin Ada and it also covers the real-time issues, OOP, low-level multilingualprogramming, distributed programming etc. 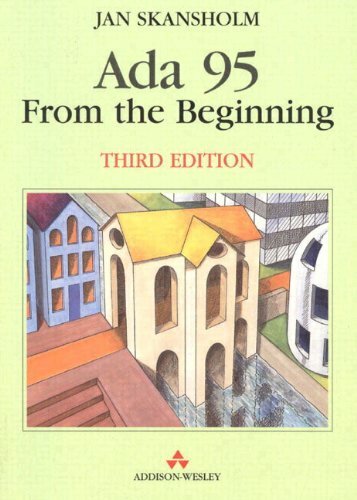 Although, it was written forthe "C" programmers who are new to Ada, I have since then workedon two more major programs and this is the only Ada95 book I amcontinuously using together with the Ada 95 LRM. The Ada 2005 Reference Manual combines the International Standard ISO/IEC 8652/1995(E) for the programming language Ada with the corrections of the Technical Corrigendum 1 approved by ISO in February 2001 and with the Amendment 1 expected to be approved by ISO in late 2006 or early 2007. Both the Technical Corrigendum 1 and the Amendment 1 list only the changes made to the International Standard. The Ada 2005 Reference Manual incorporates these changes in the overall standard text and thus will replace the former versions as an indispensable working companion for anybody using Ada professionally or learning and studying the language systematically. In naming this version, we have chosen the vernacular term Ada 2005 used by the Ada community to refer to the interesting extensions made to the language Ada by the Amendment 1. Ada 2005 is the latest version of the International Standard for the programming language Ada. Formally, it is an Amendment of ISO/IEC 8652:1995 (E) rather than a completely new standard. The primary goals for the new version were to enhance its capabilities particularly in those areas where its reliability and predictability are of great value. Accordingly, a number of intriguing and attractive ideas have been included and implemented in a coherent manner as appropriate to the level of perfection necessary for the diligent maintenance of a language standard. The Ada 2005 Rationale describes not only the changes from Ada 95 but also the reason for the changes. It starts with an introduction providing a general overview and this is followed by seven chapters focusing on OOP; access types; structure and visibility; tasking and real time; exceptions, generics, etc. ; the predefined library; and containers. The book concludes with an epilogue largely concerned with compatibility issues. 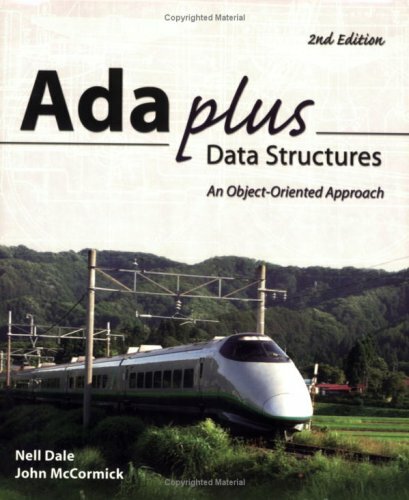 My class used this book in a data structures course, and there was a point of contention between the professor and the class regarding Ada. I felt our professor was unfairly penalizing us for her misunderstanding, so I emailed one of the authors and asked him or her what his opinion was. Either McCormick or Dale was very helpful and answered my questions in a conversational, multiple-email exchange, then asked what course I was teaching. I explained I was just a student, and after that our friendly exchange ended with the author completely ignoring all following emails. What a jerk. The textbook itself isn't worth the money and has no use on a reference shelf. It's a fragmented regurgitation of the freely available Ada reference manual with some elementary data structures and mild discussion thrown in. The beginner in Ada will find it frustrating that the authors never focus on the language, and the student with even a passing competence in data structures will skip whole chapters. In other words, it's an introductory text that curiously assumes a knowledge of Ada, but expects a total unfamiliarity with stacks, queues, lists, etc. If you're learning Ada, stick to ISO/IEC 8652:2007(E). If you're learning elementary data structures, use Google or a more focused text. If you're Dale or McCormick, what do you have against students? As a freshman at an upstate New York state university, this was the textbook for the second sequential computer science course. Of course, the choice was obvious: McCormick being a former professor at the school. Atthat point, I was a beginning programmer, having already taken basicprogramming classes. This book, however, is responsible for my now-firmgrasp of data structures and algorithms. Both dynamic and staticstructures, complex and simple, this book is the primer for anunderstanding of data structures in Ada. In this third edition, educators Michael Feldman and Elliot Koffman continue to refine and enhance their balanced presentation of modern programming concepts and Ada 95 language capabilities. Students with no prior programming experience will begin to program with this interesting and powerful, yet flexible language that is used in the Boeing 777 and Airbus 340, the International Space Station, the European high-speed rail system, and many other major projects around the world. I'm giving this book a poor rating for a couple of reasons.First, the print and paper quality were very poor for an expensive textbook.Second, it did not include the CDROM (and the links in the text to the sample programs are no longer valid). Although I didn't bother to explore it much given those problems, from a quick skim through the text it seems a bit dated. If your looking for a refrence book this is NOT it! I purchased this book in the hope that I could use it as a refrence as well as a tutorial for using the Gnat compiler.It failed in both cases.Don't get me wrong, This is a good book if you have time to read it coverto cover.I do not!Further, the book never goes into much depth aboutthe copiler and most of the data on the disk was unaccessable.Myconclusion is that if this is your first time with Ada and you have time tospare this book is for you.Every one else should look else where. An excellent introduction to Ada95. 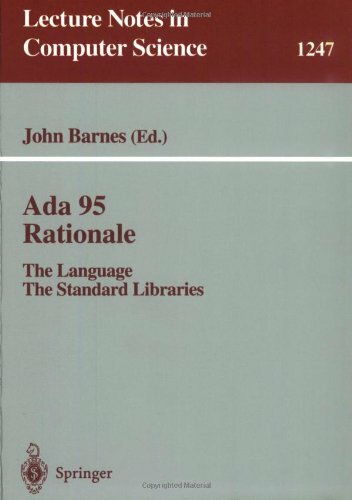 Ada 95 is nicely written easy to understand book. I use this book in beginning Ada 95 course that I teach. It explains programming concepts and Ada 95 constructs in a interesting way by citing examples. It comes with aCD which has GNAT Ada95 compiler (for PC/MAC/UNIX) as well as keydocumentations like ARM, AARM, and Rationale in text, html and postscriptformat. 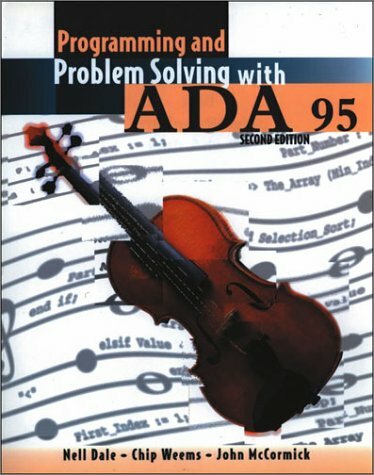 I highly recommend this book to any one interested in learning Ada95 from beginning. Great book!!! Good text for an Intro to Ada95 class. The text is an organized, well written, generously exampled introduction to Ada95 for the novice.It provides a good basis for object oriented programming using Ada95 for generics and privates (ADTs), it does not cover as fully or clearly inheritance and/or polymorphism. This book is apropriate for a 200 level CS class. I personally was disappointed with the amount of clear differentiation between Ada83 and Ada95. The section on tasking dismisses conditional Select entry as being beyond the scope of the book.Variant records are given too large a play. though they are a good intro to the thinking behind Ada polymorphism, in practice (Ada83) they are too code intensive and have serious short comings when used as private data elements.Overall, I think that this is a good, complete Ada95 introductory text.It is NOT an in-depth push the boundaries of the language or a "here's how to go from Ada 83 to Ada 95." Excellent course book for the Ada programming language!!! Companion book to the standard, by the same folk. There is the official Ada 95 standard, and then there is this campanion book that explains WHY the various parts of the standard are as they are and what other options were considered. If you want to learn Ada this is a great way to start.Easy to follow and understand. This book is by far the most readable introduction to Ada 95 that I have encountered.I used it as a textbook for my junior-level Ada class at Rowan University in the Fall 1998 semester and was very pleased with it asa text. The author's explanations are thorough without beingoverly wordy, and the writing style is informal and friendly without beingsloppy or imprecise.Programming exercises at the end of each chapterreinforce the chapters' content.These exercises make good homeworkassignments (from an instructor's point of view) and are good practiceproblems (from a reader's point of view). 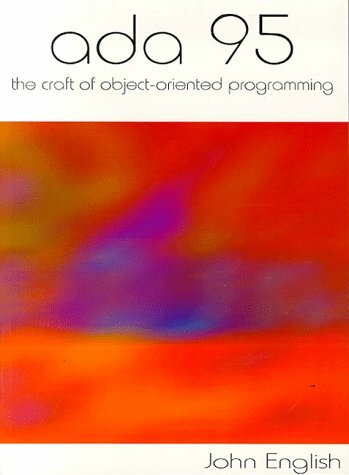 The book assumes littleprior knowledge of programming, and as such it is appropriate for aComputer Science I course.This means that some of the explanations willbe simpler than an experienced programmer requires, and such a reader maywish to skim some of the material in early chapters.